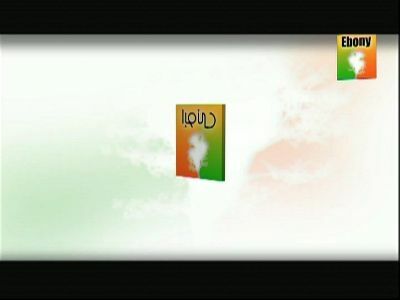 A new channel has started in DVB-S2 Conax: Ebony Life TV (Nigeria) on 4153.00MHz, pol.R SR:30000 FEC:3/4 SID:2005 PID:502[MPEG-4]/503 English. Ebony Life TV is now encrypted in Conax (3761.00MHz, pol.R SR:30000 FEC:3/4 SID:2005 PID:502[MPEG-4]/503 English). Ebony Life TV (Nigeria) is now transmitted Free To Air (3761.00MHz, pol.R SR:30000 FEC:3/4 SID:2005 PID:502[MPEG-4]/503 English). Multichoice Africa: Ebony Life TV has left 11727.00MHz, pol.V (DVB-S SID:20002 PID:131/133), it is no longer transmitted by satellite in Europe. Multichoice Africa: A new channel has started in DVB-S Irdeto 2: Ebony Life TV (Nigeria) on 11727.00MHz, pol.V SR:27500 FEC:3/4 SID:20002 PID:131/133. Ebony Life TV has left 12092.00MHz, pol.V (DVB-S SID:12 PID:1121/1122 Arabic), it is no longer transmitted by satellite in Europe. A new channel has started in DVB-S Clear: Ebony Life TV (Nigeria) on 12092.00MHz, pol.V SR:27500 FEC:3/4 SID:12 PID:1121/1122 Arabic.